With a stay at Motel 6 Savannah, GA in Savannah, you'll be within a 10-minute drive of Savannah College of Art and Design and River Street. This aparthotel is 3.7 mi (5.9 km) from Forsyth Park and 4.3 mi (6.9 km) from Savannah Civic Center. With a stay at Savannah Garden Hotel in Savannah, you'll be a 4-minute drive from Oglethorpe Mall and 5 minutes from Hunter Army Airfield. 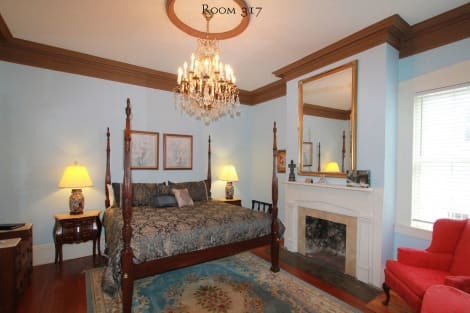 This hotel is 4.3 mi (6.9 km) from Forsyth Park and 4.7 mi (7.6 km) from Savannah College of Art and Design. Located in Savannah, Days Inn & Suites by Wyndham Savannah Midtown is in the historical district, within a 15-minute drive of Forsyth Park and Savannah Mall. This hotel is 4.5 mi (7.3 km) from Savannah College of Art and Design and 4.7 mi (7.6 km) from Savannah Theatre. Make yourself at home in one of the 101 air-conditioned rooms featuring refrigerators and LCD televisions. Your pillowtop bed comes with down comforters and Egyptian cotton sheets. Complimentary wireless Internet access keeps you connected, and satellite programming is available for your entertainment. Private bathrooms with shower/tub combinations feature designer toiletries and hair dryers. Featured amenities include a 24-hour business center, express check-out, and complimentary newspapers in the lobby. Planning an event in Savannah? This hotel has facilities measuring 2000 square feet (186 square meters), including conference space. Free self parking is available onsite. Make yourself at home in one of the 17 air-conditioned rooms featuring refrigerators. Complimentary wireless Internet access keeps you connected, and cable programming is available for your entertainment. Private bathrooms have complimentary toiletries and hair dryers. Conveniences include coffee/tea makers, and housekeeping is provided daily. lastminute.com has a fantastic range of hotels in Savannah, with everything from cheap hotels to luxurious five star accommodation available. We like to live up to our last minute name so remember you can book any one of our excellent Savannah hotels up until midnight and stay the same night.